1. Tell us a bit about the slovenian league, how good is it compared to other leagues in Europe? Slovenian league is contesting of 10 teams with each side playing each other 4 times (2 home and away) over the 36 rounds. Obviously due to the market and money involved it’s hard to compete with the more established leagues (current UEFA rank see us on 30th place) and apart from just about three better positioned clubs, it leaves no other choice but producing young players. For that reason, it’s a perfect environment for youngsters to get their chance and become noticed by bigger and richer teams. Average attendance is 1400. 2. 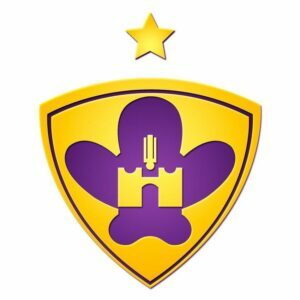 What do we need to know about the club Maribor? NK (= nogometni klub = football club) Maribor is by far the biggest, most popular, successful + organized, you name it, club in Slovenia, and a 14-time league champion (more than the rest combined, which speaks for itself). A dominant force. Our fans, Viole, give the players a special energy and especially in European competition when the stadium is usually packed and bouncing, they produce a fantastic atmosphere and are no doubt the club’s 12th player. Maybe the crucial part of the club is our sports director Zlatko Zahovic, a Slovenian football legend, who took the job in 2007 and with his help, Maribor was able to overcome huge financial difficulties and became a respectable team that punches well above its weight in Europe. 3. Maribor is in Champions League now, how have they made it in european competitions last seasons? It’s the fifth time we’ve made the group stages in the last 7 years and the second Champions League in 4 years (and only third ever), which is remarkable. You could say Zahovic & co. are doing miracles given the resources we have. In that time we’ve achieved some decent results, like eliminating (old) Rangers and Celtic in the play-offs, draws with Tottenham (UEL), Sporting, Schalke and Chelsea (UCL) just to name a few. We’ve also met Sevilla in the Europa League round 16 three years ago, when they had to work hard to overcome us (2-2 draw at home, followed by a 1-2 defeat away). They went on to win the competition that year. 4. How are Maribor doing in the league right now? We’re still unbeaten ten rounds into the season and levelled with our arch rivals Olimpija on top of the table with 24 points. The rest are already 8+ pts behind so it looks the battle will be only between the two of us. Of course our the goal is to win the title again this campaign. 5. How would you describe the way Maribor plays? In Europe they usually go for 4231. Some people are describing our style boring to watch, which might be, but a team like Maribor cannot afford to push itself in an open fight against better opponents. Instead we’re more pragmatic and extremely organized defensively, not relying on a individual quality but playing as a team. 6. Which players are the key to success for Maribor? There are 4 such players in my opnion. Goalkeeper Jasmin Handanovic (a cousin of Inter’s GK Samir Handanovic) who, at the age of 39, is like wine, only getting better and better. Marko Suler at the centre-back is another one, followed by Marwan Kabha from Israel as the DM, for me one of the best foreign players in the history of our league, an extremely under-rated and passionate ’fighter’ with a solid shot from a distance as well. Probably my favourite Maribor player. And the last but not least, the most important one – Brazilian Marcos Tavares. An icon and a NK Maribor legend who’s here since 2008. In that time he’s climbed on the top of club’s all-time goal scoring table and became an all-time best scorer in the European qualifiers, while playing a crucial role in many clashes over the past years. 7. What are your thoughts on the game against Liverpool? As a big Premier League fan I always enjoy when we face British sides and I’m happy we’ve got one in our group again. However, regardless of the form L’pool is a clear favourite in this clash, personally I’d over the moon if we manage to nick a point but we’d have to be on our 100% for the whole 90 minutes. Also the atmosphere should be electric with hundreds of away fans coming over. 8. Finally, LFC-cult player Igor BIscan is now coaching in the Slovenian league, what can you tell us about his time there so far? Correct, he’s taken over as the head coach of our arch rivals Olimpija this summer and his start the season was disastrous after being eliminated in the first round of the Europa League qualifiers, which put him under pressure immediately (their president is known of not having much patience) but ever since then, his players seem to improve and getting to understand his tactical ideas. Some players even said he’s the best coach they had there, and they had them a lot.